Two controversial developments that drew a crowd of more than 70 to the Dec. 18 Limerick Supervisors meeting were back on the agenda Tuesday night for crucial votes. 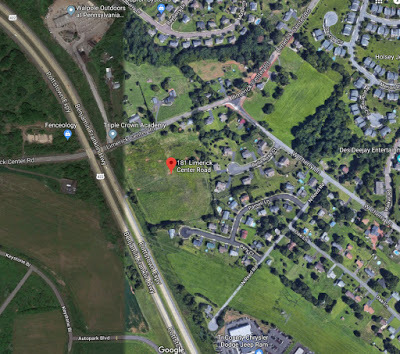 But while those opposed to the TP Trailers and Truck Equipment plan on 10 acres of land at 181 Limerick Center Road, were out again in force, no one showed up in opposition to the Restaurant Depot proposal at the corner of Buckwalter and Township Line roads. More than a month ago, about half the crowd of 75 were there in opposition to the plan, saying it would add too much traffic to an already dangerous intersection. But last night, no one spoke, no one objected and the board of supervisors quickly and unanimously approved the preliminary site plan for the project. And although the end result for the TP Trailers project was the same -- a unanimous vote to approved the preliminary site plan -- the path to that vote was strewn with public objections and some spirited defense of the board by the board members themselves. 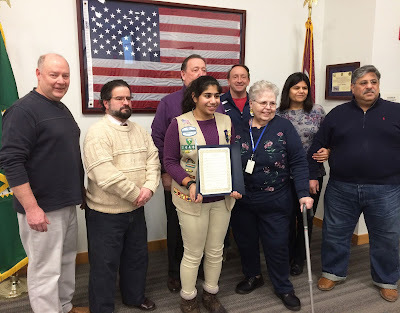 Township solicitor Joseph McGrory Jr. kicked off the deliberations by explaining as per instructions from last month, he had prepared two resolutions. One approved the project without conditions, and another imposed the condition that the trailers (or shipping containers) be stacked no higher than two. The preliminary site plan for the truck facility approved last night. structures to be as high as 35 feet tall and three stacked shipping containers are below that height. In fact, it's the fact that the plan meets the zoning ordinance in every way -- no waivers, no variances -- that locked the supervisors into approving it. McGrory said that despite "trying every trick in the book," he could not convince Tom Perkins, owner of TP Trailers and Truck Equipment, who owns the parcel with his sister, to agree to that condition. To approve the plan and place those conditions, however "reasonable" they may seem, would simply result in Perkins lawyer, Mark Kaplin, seeking to overturn them in court, McGrory said. 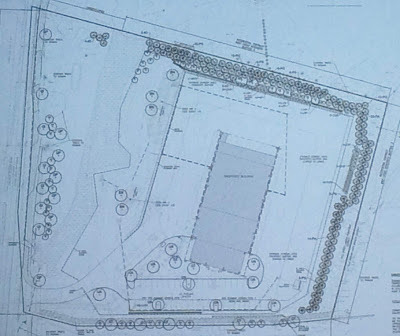 Kaplin has said his client would accept those conditions if the township, and the opposing neighbors, were to back his client's intention to seek a zoning variance to allow him to sell vehicles at the Limerick Center Road site, which would allow the trailers to be stored at his other location on Ridge Pike, but the supervisors have not agreed to that. As a result, they were left essentially with the option of voting to approve the preliminary plan without imposing any conditions. "If it were in my neighborhood, I would still have to vote for it," said Supervisor Elaine DeWan. 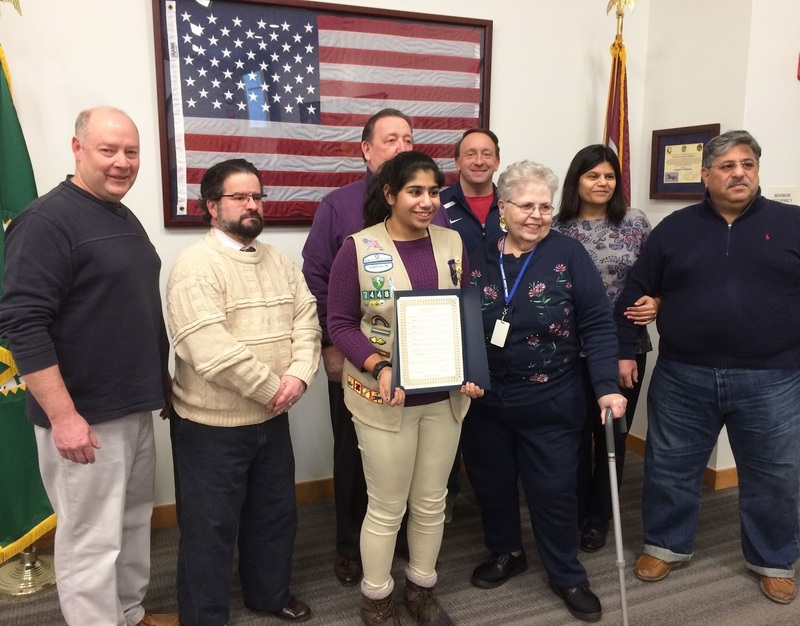 To vote against approving a plan that meets all the ordinances would not only open up the township to a legal action they would likely lose, it would also likely mean the township's liability insurance carrier would not cover legal costs, said Township Manager Dan Kerr. It could even make the supervisors themselves personally liable, the supervisors said. 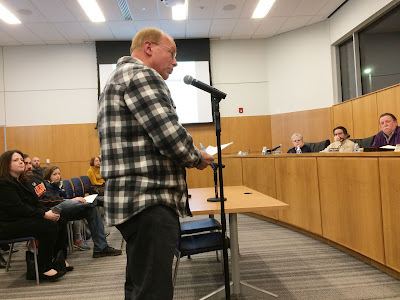 But for several of the project's opponents in the audience, that argument did not wash.
"You can never convince me your personal assets are at stake," said Bernard Enright of Bayberry Lane, who said he has worked in the insurance business for 30 years. Preston Lutwiler speaks to the board about options after the vote. 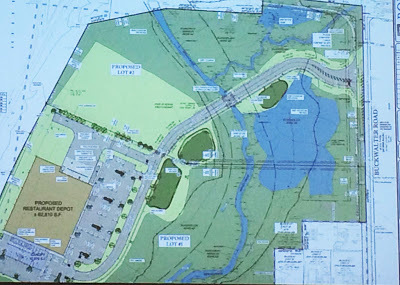 Kevin Messerle of Hickory Grove Road said while he understood the position the supervisors were in, that voting against approving the plan would have been "the courageous choice." "Breaking the law is not courageous," said Supervisor Kara Shuler. "I am not breaking the law for this township." When resident Preston Lutwiler said the supervisors had taken the "path of least resistance," Supervisor Thomas Neafcy called the comment "a cheap shot." At one point, resident Darren Thompson asked Supervisors Chairman Ken Sperring to recuse himself from voting because he has a business relationship with Perkins. Sperring says as a business owner himself, he has purchased parts from Perkins but since, as McGrory confirmed, he has no financial interest in whether Perkins plan is approved or not, there is no conflict of interest requiring he recuse himself. He said if the other supervisors want him to recuse himself he would -- they didn't -- and said it would not be fair to them to "escape" from having to take would looked like an unpopular vote. She organized a summer soccer camp for girls. approval, when and if that makes its way through the process, past the planning commission again and back to the supervisors for a final vote. He and DeWan also suggested that residents show the same interest, and participate, in any hearings the zoning hearing board may hold if Perkins applies for the use variance which, McGrory said, "is very hard to get." As the meeting wound down, Shuler said she and other supervisors were getting "brutally beat up in emails by people who don't understand our responsibilities. We have to think of everybody, not just the people who live on a particular street or development." "Nothing about tonight made any of us happy," Shuler said. "We are the courageous ones sitting up here taking the beating. We get that you were upset about tonight's decision. We get that. Just cut us some slack. We have to take everything you throw at us and still try to protect you." "I Am Not Breaking the Law for This Township!"